If you were there, you know. 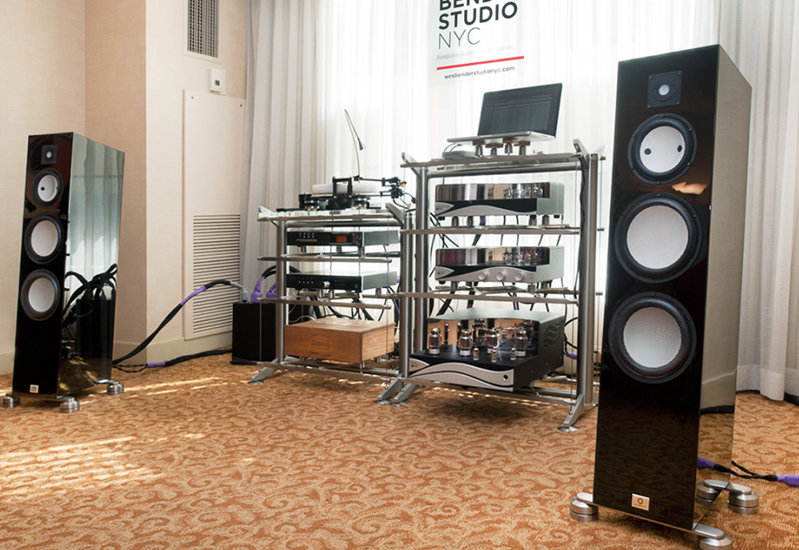 If not... well, you missed the NY Audio Show 2015 and didn’t get to meet—hear—some fantastic music played through some outstanding high-end audio gear. Wes Bender Studio NYC and GamuT—we—were thrilled to share the music with so many friends new and old. As Audiophilia’s Karl Sigman pointed out, the room was “bopping” and frequently SRO. We’re glad both he and Audio Stream’s Michael Lavorgna (and perhaps others) enjoyed the poeticism of Cannonball Adderly’s “Autumn Leaves” blowing through the room while falling leaves (of red and gold) did indeed drift by the window. NY Audio Show 2015 is a wrap. But you don’t need to go to a show to hear and see this high-end audio equipment perform. Give us a call to experience it for yourself! A better way to select and buy high-end audiophile components. Wes Bender Studio NYC is a better way to select and buy high-end, high-performance audiophile components. We'll help you get the sound you want from your system or help you build a new system of your dreams. We can also help identify the links in the chain that will make your existing system open up and sing. We're not a traditional dealer. Wes Bender is your consultant, coach and audio confidant first; salesperson second—and, even then, only when needed. We’ve partnered with select, hand-picked manufacturers to help make exceptional gear available to you. So, what are your audio dreams, desires, challenges and ambitions? Give us a call. 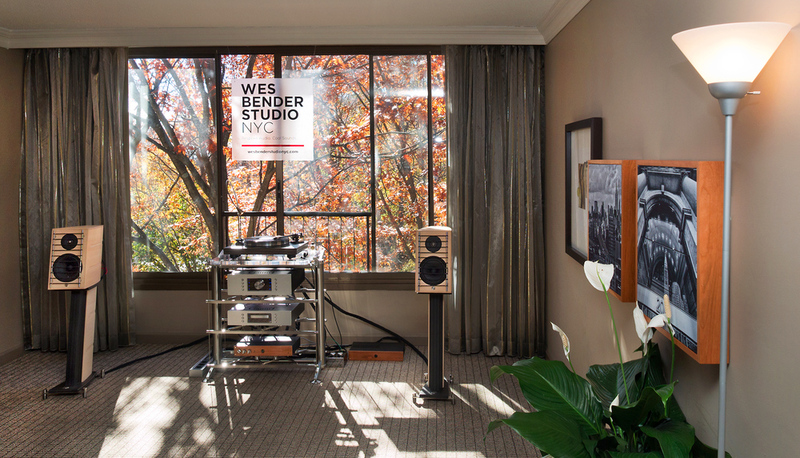 Wes Bender Studio NYC represents an exclusive group of hand-picked high-end audio manufacturer partners whose audio components reproduce music with startling realism that stirs the soul both sonically and aesthetically. These manufacturers and their components are hand-picked by Wes Bender to create an uncompromising system for WBSNYC. It's also one of the few places where you can hear these outstanding products in a comfortable, relaxed, no-pressure environment. Our exclusive arrangement with these manufacturer-partners provides a unique opportunity for you to listen to these remarkable, hand-crafted audio components. It also allows us to stay focused on providing expert audio consultation services first, and specific product-related sales a distant second. Unlike traditional "audio dealers" WBSNYC helps connect manufacturers with clients to eliminate unnecessary costs and hassle and to provide personalized setup services to ensure that you gain everything these bespoke products have to offer. We invite you to join us for a listening experience at your leisure. Schedule a listening session now. Of all the trade shows and audio fests I have attended over the years…none has left a more indelible impression that the gear presented by Wes Bender. Wes Bender presented a visually and sonically impressive system that packed the listening room. Great sounding audio starts with you. Wes Bender Studio NYC starts with you and ends with you. The first thing Wes will do is talk with you about the music you enjoy listening to, the equipment you use, your listening environment, and what aspects of your music experience makes you most happy or causes you the most concern. Only then can we start thinking about the best and most meaningful solutions for you. Sometimes those solutions are about better use of gear you already have, better placement of components, or better room treatment. Sometimes there's a single component dragging the whole system down. Sometimes it's time to consider a new system. We believe that you know better than anyone else what you like and what you don't like about your current listening experience. Our expertise lies in intimate knowledge of and experience with the panoply of ever-evolving, ever-changing high-end audio equipment and how each component affects the system. We're able to translate the things you like and don't like about what you hear from your audio system into an understanding of what you are getting or are not getting from specific components and aspects of your listening environment. And that can make all the difference. One elephant in the listening room that's seldom mentioned is the fact the top-end of high-end audio components are often distinguished more by subtleties of "differences" than by crude standards of "good"/"bad" or even "better"/"best". If you have a high-end audio system, you likely have some outstanding equipment. The problem may be less about having one "great" piece of gear versus another, it may be about having something that is "different" in just the right ways to achieve the sound you want or to best match other aspects of your system. It's often far more appropriate to talk about the "differences" of one component from another rather than simply which make and model is "better" than another. And the implications of these "differences" for your system are huge. Sometimes these "differences" can accumulate or even work at cross purposes with other components (and their differences)—and ultimately can cause your system to perform at less than the sum of its parts. We get this and we can help. Our approach is to first understand your current audio reality and needs, and then consider possible solutions to those needs second, purchasing new gear, when necessary, only becomes helpful and meaningful after those first two steps. So, it really does start with you. And it ends with you too because the ultimate test is whether you hear more of what you've always wanted to hear from your music. It starts with you. Send us a note and tell us about your musical world.